We were delighted to present a modern dance workshop with French artist, Lucas Viallefond, a modern dancer and a teacher at the Paris Opera School. http://lucasviallefond.com/en/ The two-hour class was based on the Jooss-Leeder technique, developed by Hans Züllig and Jean Cébron, with contemporary barre work. We had a wonderful response with dancers from different parts of the Calcutta, Howrah and Murshidabad joining us. It was an excellent and inspiring learning experience. We are grateful to the support by Sparsh Studio for Performing Arts, Alliance Francaise du Bengale and Buoyant Performing Arts in partnering with us for this event. Read an artist interview and coverage of the workshop in The Telegraph t2 here. What is the basic difference between contemporary dance and modern dance? According to dance timelines, modern dance was created after ballet in the 1990s, as a response against ballet. In ballet, you have to have a perfect body and the perfect lines. People who didn’t have that but wanted to be dancers could not. If ballet dancers sported tight buns, modern dancers went with their hair flowing free and wild. If ballet dancers wore shoes, modern dancers went barefoot. If ballet dancers were in tutus, modern dancers chose to go almost naked. This was the beginning of modern dance. Isadora Duncan and Martha Graham in the US and Mary Wigman in Germany began to create a technique and this is modern dance, as it was really modern for the times. I can speak of contemporary dance in the French context. French people were tired of modern dance and created their version of contemporary dance. The basis of contemporary dance is idea —when you have ideas, you put it to form. It can be anything. It’s impossible to describe French contemporary dance. Each choreographer has a very specific way of moving. It can be someone rolling on the floor for hours or someone just performing striptease with eggs on their head. It’s much more of ideas than the body moving. Modern dance is almost set — when you see a piece by Martha Graham, you know it’s her work. I am more into body than the head, so it’s that kind of a difference for me. What made you take up dance? I live in a very small street in Brittany in the west of France where there is nothing. In France, we have a musical day that is celebrated on June 21 every year, the first day of summer for us. There are people going out to make music everywhere. I once drove with my mother to another village where I saw a dance performance by a dance teacher and I saw two guys from my college take part in it. I was 13 and I knew I could do better. But I really took up dance because I needed to express myself as I wasn’t very good at speaking to people. So first, I practised a lot of gymnastics and then I learnt a lot of music. But that wasn’t enough for my body. I had to express more and then I began dancing. My dance teacher forced me to learn ballet; she sent me to Paris and I got into the Conservatoire de Paris, where I learnt for five years. In my third year, I met Pina Bausch and got invited to Germany. I quit the school three years later and started teaching a lot. I came back to France and began dancing for a lot of companies and teaching at the same time. Then I was invited to Taiwan, from where I taught all over Asia. I think you can’t be a very good dancer without teaching. While teaching people, I corrected myself too. What is the Jooss-Leeder method? Based on Rudolf Laban’s principle of movement, the precise consciousness of one’s body in space and its dynamics form the basis of this approach. It’s not a technique, but a method. It’s based on the point of view of dance that is based on the science of quality and the science of space. You can divide the space into different points and then you have millions of ways of going about it. I can do direct and indirect movements or put a lot of strength or use light and quick movements, coming from or outside the body. My teaching is based on all these different qualities in specific points of the space. And it’s not a style but a method. I give keys to students on how to use their body and then they do what they want to do with that. So when I teach, I don’t like to choreograph because I don’t want them to dance like me because the point of view of a dancer is in him/her being unique. What do you think about the future of modern dance? I think modern dance is always evolving, so it’s nice to see that some people are trying to make it more creative. For me, the most interesting dancers are the ones who dance with feelings. I don’t like to see high legs and many turns. The one who dances with an intention makes the difference between the dancer and the artiste. Modern dance is fairly less known. How can that be changed? In order to make people more interested in modern dance, there should be more workshops with good teachers who give a lot in the class and try to help the dancers to be better. Check out a video interview with the artist here. ‘Dance Bridges Festival 2015 would not have been possible without the support of Dance Alliance Kolkata as our main partner. It is wonderful to have a shared vision for artistic and cultural exchange within an international context and platform for dance in Kolkata, India. While Dance Alliance Kolkata and the international network of World Dance Alliance continue to support Dance Bridges Festival, we are now in the process of developing as an independent organization. We will soon launch Dance Bridges as a registered society for the purpose of hosting the Festival and other associated events. We are currently completing formalities for this shift and the Executive Board will be representative of Kolkata’s dance, arts, music, education, business and cultural communities. The Festival is also supported by an International Artistic & Programming Committee, Advisory Board & Organizational Partners & Sponsors. As part of the International Artistic & Programming Committee, it gives me great pleasure to announce that Dam Van Huynh (Artistic Director, Van Huynh Company/ Centre 151, London, United Kingdom) has joined us as the Associate Director of Dance Bridges Festival 2017. We also welcome on board two international programmers, Chieh-Hua (Jeff) Hsieh, (Artistic Director, Anarchy Dance Theatre, Taipei, Taiwan) and Pierre Palluet (Dance/Music Artist Producer & Centre Manager, Centre 151, London, United Kingdom). It is wonderful to have such accomplished artistic associates work alongside with the team in Kolkata to curate and plan for the event in 2017. We wish all the applicants the very best as they send in their proposals and look forward to an exciting series of performances, workshops, films and other festival activities. 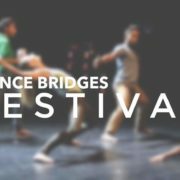 For any information regarding Dance Bridges Festival 2017 please write to us at dancebridgesfestival@gmail.com. 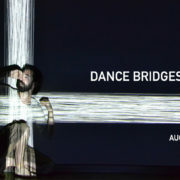 The Dance Bridges Festival is a new initiative for dance and the performing arts in Kolkata by Dance Alliance Kolkata. The theme: “Talking Points in Choreography; Dialogues Across Cultures” emerged from a personal curiosity as a choreographer to know more about the creative process of different artists and how cultural influences affect choreographic works. In curating performances for the Festival, I selected works that highlight this individuality and specificity, sometimes in subtle ways in others more overtly. Artists for the Festival included Van Huynh Company (UK), Anarchy Dance Theatre (Taiwan), I-Fen Tung (Taiwan), Sydney Skov (USA), Janet Reed (USA),Tomas Danielis (Austria), Rocio Berenguer (France), Prasanna Saikia & Buoyant Performing Arts (India). There were also special presentations and workshops by Waileth & Bardon (Sweden) & Meghna Bhardwaj (New Delhi). Every artist and piece carried a different flavour that is a result of a personal history of dance training, choreographic style, creative decisions but also a reflection of cultural perceptions, thinking and infiltrations. It has been a great pleasure to network with different artists and provide for their needs creating an international experience for performing arts right here in Kolkata. A very special part of the Dance Bridges Festival, was a three-week residency with artists from the Van Huynh Company in Kolkata with local dancers. Choreographer, Dam Van Huynh created a beautiful work titled “Resonance” with a company of five local artists and dancer Ieva Navickaite for the Festival. The 20-minute piece has original music accompaniment by Martyna Poznanska created from environmental sounds she recorded live in Kolkata. Along with performances, the Festival included a section of film screenings with 20 dance films from over 14 countries. The dance films were curated in collaboration with Screendance Festival Sweden, Goethe Institut Kolkata, Gati Dance Forum and other independent artists. This was a truly unique part of the Festival and brought audiences insights into choreographic developments in dance as an art in the medium of film from across the world. During the Festival there were also several workshops in eastern and western styles of dance at different studios in the city providing another platform for sharing knowledge, connection and exchange. As the artistic director and producer for the Festival, it has been a long process of connecting with sponsors and partners. The Festival was possible due to the support and collaboration of Swar Sangam, ITC Ltd.,Goethe-Institut Max Mueller Bhavan, the Austrian Embassy & Austrian Cultural Forum New Delhi, The Swedish Arts Grants Committee (Konstnärsnämnden), Alliance Francaise du Bengale, British Council, Screendance Festival( Sweden), t2 Telegraph, 91.9 Friends FM, Soni Power, Add Life Caring Minds, Rhythmosaic Dance Company, Buoyant Performing Arts Centre, Sparsh Studio for Performing Arts, The Calcutta School of Music aHotel Nest International, Chaitown Creatives and Berger Paints. It is my intention to host this Festival as a biennial event and the next edition is due to take place in 2017. I hope the Dance Bridges Festival grows from this first edition to continue in building artistic bridges and cultural exchanges within creative communities across the world.